French forward Alexandre Lacazette should confront manager Arsene Wenger after being dropped to the bench away at the Etihad on Sunday and also at Anfield earlier this season according to former Newcastle United striker Alan Shearer. 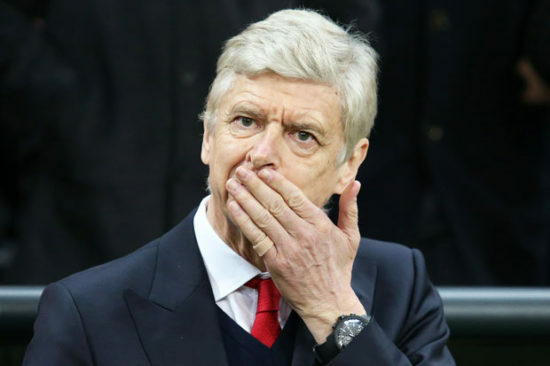 The Frenchman joined the Gunners from French side Olympique Lyon in a record breaking £50 million deal in the summer and would not be too happy with Wenger after starting from the bench twice this season in games against Liverpool and Manchester City. After such millions on a player he is expected to start in games like this, but it seems Wenger is yet to trust the Frenchman as he opted for Alexis Sanchez up top against the Premier League leaders away at the Etihad yesterday, but Lacazette had an immediate impact once he was brought on in the second half and scored the Gunners only goal as they lost 3-1 to the Citizens at the Etihad. “You spend £50m on a striker and think he will make the difference in the big games”. “He has scored six league goals, more than double anyone else in that Arsenal team. “He played Alexis Sanchez today, who doesn’t want to commit himself to the football club, what does that say to Lacazette and his teammates? Alexandre Lacazette was brought in to score goals which he has done by scoring six goals in as many Premier League games he has played and his decision to drop the Frenchman didn’t go down well with many fans and shows he is yet to trust the French striker, but Arsene Wenger need to put in more faith in his top scorer so far this season with last season top scorer Alexis Sanchez looking lost and yet to rediscover his form of last season.